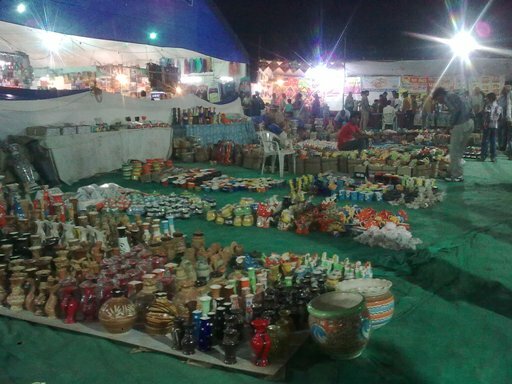 Diwali is just round the corner and the markets are buzzing with activity!! An utsav 2011 mela was set up in the city and we planned a visit!! Its been just a while I started blogging and not yet used to taking my camera every where I go!! Thoughts definitely remain occupied thinking about the blog and what to post next!! So finally without a camera and a mobile with a low battery I managed as many pics as I could. Now here I am compensating the quality of pics with quantity!! Just as you enter a sea of lots and lots of crockery’s, mugs and pots and lots of pottery meets the eye. 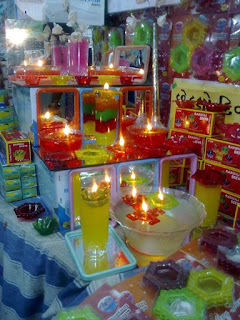 The mela was full of fun, food, flowers, colors and lights. 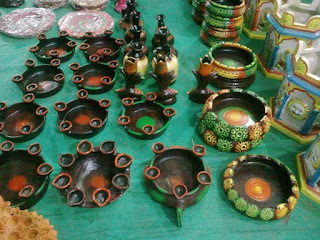 The shopkeepers displayed their goods with such amazing skills that would put a designer to shame. It was no high-end home décor Shoppe with great lighting. It was just an open space and the products were placed on the ground. 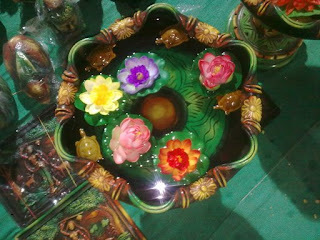 But the display and beauty and the artistry was just matchless. 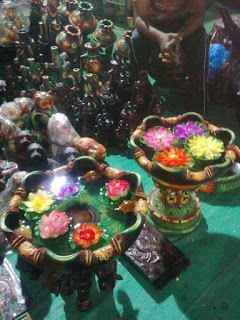 Artistic diyas (oil and wick lights) these are the ones where you can light the multiple diyas fill the center with water and float flowers in it! – remember deepavali is a festival of lights. I was disappointed not to find any rangoli colors. Ill have to get them from elsewhere. A small shop with floating diyas lit up and kept for display really made me feel like Diwali was here! !